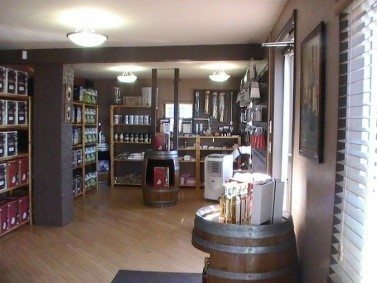 Brew Chez Nous is a craft wine making store, located in the beautiful touristic town of Shédiac, in South-Eastern New-Brunswick. Here, at Brew Chez Nous, we carry a large selection of quality RJS wine kits, beer kits, equipment and accessories that will help create an excellent wine making experience. We also offer the U-Vint service where we make the wine for you!